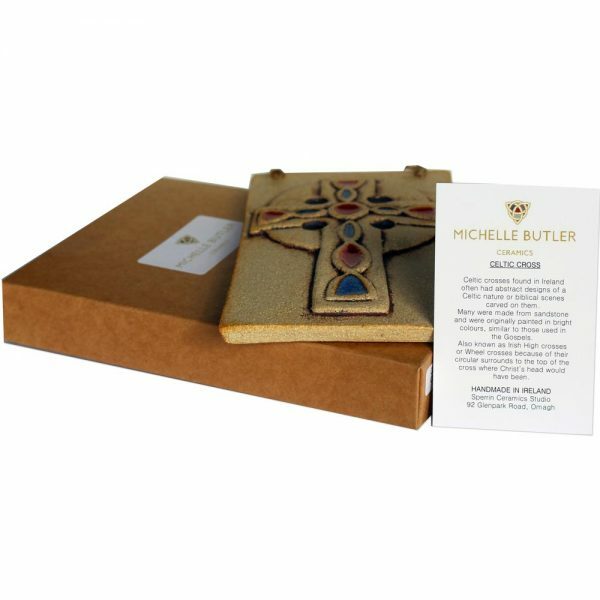 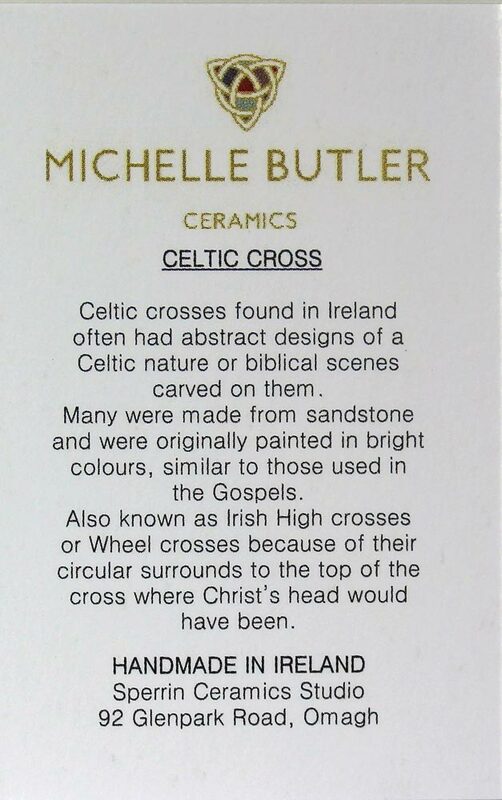 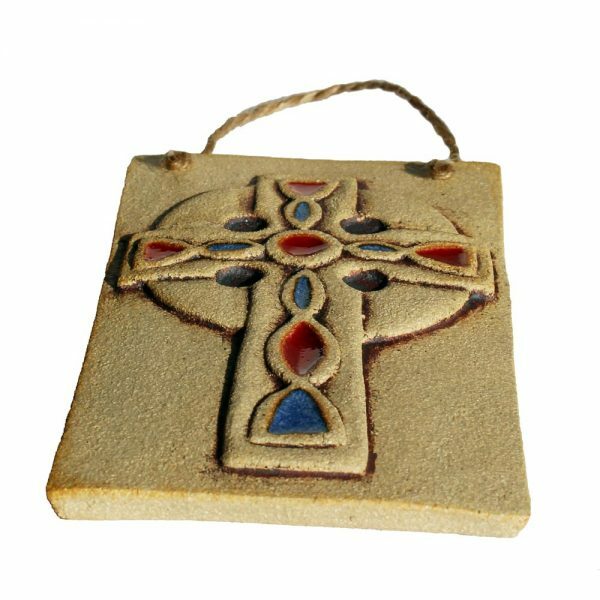 A lovely rustic Celtic Cross Plaque, presented in a lovely gift box and includes a card with some interesting detail about the Celtic Cross. 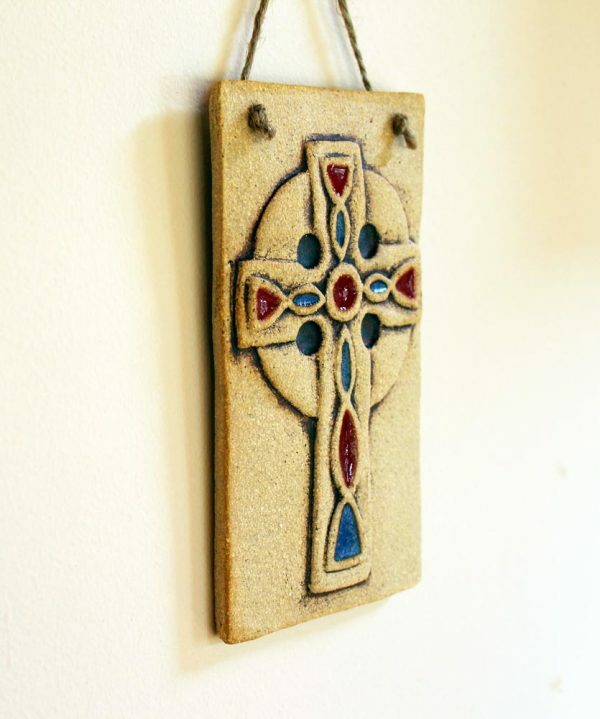 These handcrafted plaques are made from a textured stoneware clay allowing for a rough texture and finished with a mix of metallic oxide and glazes, giving a two-tone look. The Celtic Cross is raised on the plaque. 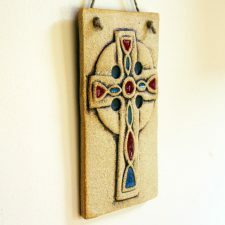 Ready to hang by the strong rustic rope, which is knotted to the front of the plaque and adds to the rustic look. 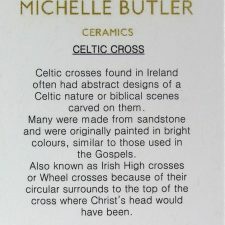 Creative Irish Gifts, created by Michelle Butler, Co. Tyrone, Ireland. 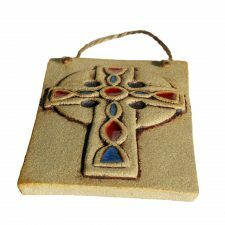 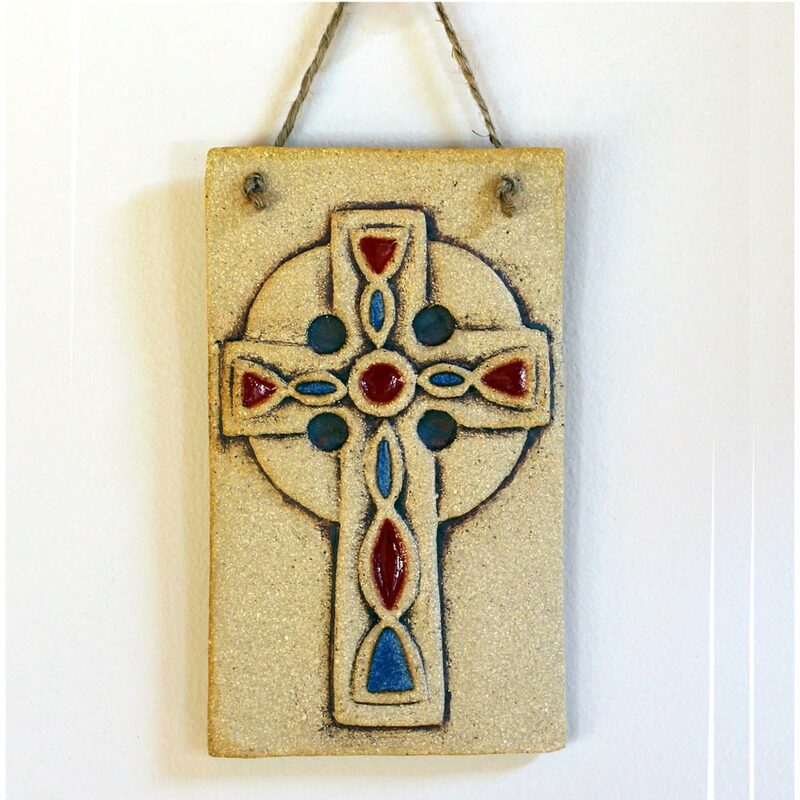 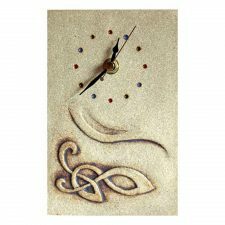 Dimension of the Celtic Cross Wall Plaque: 160 x 90 x 6mm. Overall cream colouring, decorated with blue and red glaze. 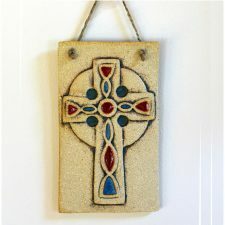 A really sweet Celtic Cross Plaque.